Fantastic magazine-style layouts – every page is totally different! Save over 60% with this Special Offer Pack and engage your Year 9 students in progressing their writing skills. The Student's Book provides inspirational texts on which students can model their own skills, raising both their ability and enthusiasm for writing great stories, letters, reviews and scripts. All this for only £99.00 plus VAT! This Special Offer Pack is not available on approval. 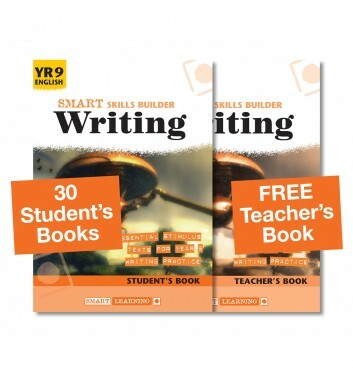 Why not try a free lesson from the Smart Skills Builder Writing series? We hope you enjoy trying this lesson in the classroom. We’d love to hear any comments or feedback you have.